Yeah, I know, “Oh no! 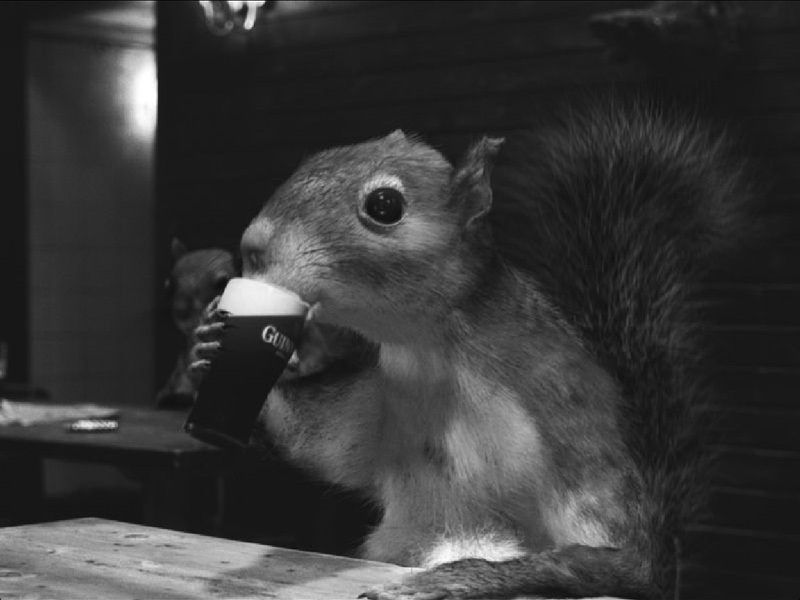 Not one of those posts again!” Yeah forgive me, but with Saint Patrick’s Day coming up me and my friends have been discussing plans, which of course include lots of Guinness. And of course with non-beer drinkers, or mass swill beer drinkers standing around the statements come flying at you like mosquitoes in summer time. And of course you’re then forced (if you wish to even take up the fight) to deflect the on coming misinformation bullets like Wonder Woman (or Neo from the Matrix which ever outfit you think you rock best). For sake of discussion, all references to Guinness in this post pertain to the Guinness we’re served over here in the US. Guinness is brewed to different ABV% depending on the country it’s being sold in. And since I just had my first Australian to stop by my blog the other day, I need to keep things clear for my *ahem* international audience. Of all the beliefs about Guinness from those who don’t know, busting this misconception is probably what shocks people the most. While it is true that you can get Guinness Extra Stout which clocks in at 5.0% and Guinness Foreign at 7.5%, draft Guinness contains a non-threatening 4.2% ABV. In comparison Bud, MGD , and Coors Original each contain 5.0% ABV. If you spin the math, you find out that if you drink a 16oz pint of Guinness verse a 12oz glass of any of the others, you’d be getting less than 0.1oz more alcohol from the Guinness. Perhaps it is its reputation for being “a meal in a glass”, but some people believe that just being in the presence of someone drinking a Guinness will toss their diet into a complete tailspin. But what does the data say? Is his secret love for Guinness the reason Richard Simmons spends so much time sweating to the oldies? Well, if we again look at the big three (Bud, MGD, Coors) we see that in a typical 12oz serving they all contain about 143 calories. For a 12oz serving of Guinness? 125! Want to up that to a pint? No problem 167, a whopping 24 more calories. And for those of you out there who are inclined to keep an eye on your carbs, you’ll be happy to know that a 12oz portion of Guinness will only run you 10.0 where the other three will cost you 10.6, 13.1, and 11.3 respectively. So next time you have an order of wings and a belly buster burger don’t blame the fact that your pants are too tight on the Guinness you had with them. It’s hard to empirically argue this one away. American lagers usually clock in at 5-15 IBUs (International Bittering Unit) with most falling at the low end. Dry stouts usually fall within 30-35 so yes they are more bitter, but an American lager has nothing to balance its IBUs against, where a stout should have a nice creamy mouth feel along with some roasted malt profile. It should be balanced with a slight bite, but not bitter in the way unsweetened chocolate is bitter. To me, if you can drink coffee then Guinness should not be a problem for you. As for having a heavy taste, again I can’t toss out any magic numbers for this one but give me a day to expose you to some of the stouts that are coming out of the craft beer world today and I’ll change your mind on that, trust. I don’t drink black beer. Good! Because Guinness isn’t black, it’s actually a dark ruby red. Nope, not making it up. You can hold it up to a very bright light and see for yourself. Or if you don’t trust your eyes you can go to Guinness’ official FAQ, third question down from the top. Ok, now you’re just fishing. Good work. Someone needs to keep the haters at bay. On the flip side, let them hate. More for me. That’s very true about the colour, you can even buy Guinness red which is obviously a redder version… well that’s my bit of St Patrick day knowledge before I get right royaly pissed tomorrow. I’ve heard of the Red but have not stumbled upon it yet. I can tell that I don’t like the Black Lager. Enjoy yourself on St Pat”s (I’m already 5 Guinness in) and thanks for stopping by! Sláinte!! 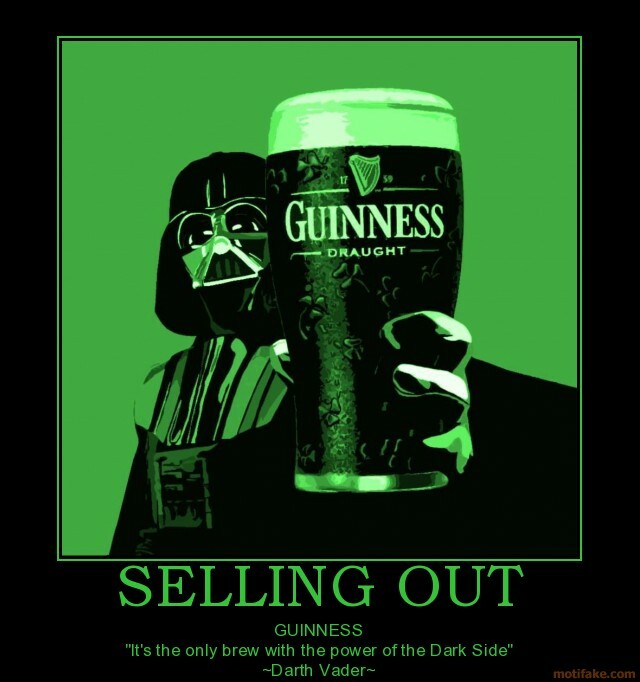 Guinness has a product image problem with some people. You cleared up a number of them. Hopefully it will awaken some to try it with fresh eyes and taste buds. Yes, I agree with you, that coffee drinkers or say grapefruit juice lovers, should not complain about it being too acidic or bitter. Thanks for stopping by. That’s true about the image problem. Swill drinkers will pass on it for looks alone. I’m not going to say that you should love it on first sip, but the stuff’s been around for what? Almost 300 years. There must be something there worth drinking. Sláinte! Previous Previous post: Singing and Drinking – Here’s Good Luck! Good Luck to the Barley Mow!